Integrity in local government systems. A culture of information sharing. An ethic of public service. Having open and clear administrative practices in our public agencies is also a key component of successful community development. With the start of a new year, I would like to take inspiration from ICMA’s elements to develop five resolutions for local governments to improve transparency in their community development decisions. 1. Local governments need to make community development decisions based on what is best for the entire community, not just a small group of developers and property owners. Zoning and land-use decisions are important to local community development. The physical layout of a city will influence more than just the local economy. Zoning decisions affect the physical health, social health and political health of our communities. In Walkable City, Jeff Speck detailed the myriad benefits that come with land-use policies that give citizens the choice to walk to many of their daily destinations. However, walkability often goes against wishes of property owners. Many developers push local zoning boards to go along with dated infrastructure and sprawl. Cities should also focus on restoring and revitalizing developments, instead of encouraging too many new projects. Often new developments, especially in retail, just redistribute businesses to new parts of a community and leave large buildings and areas vacant. Our nation’s over construction of enclosed malls is a perfect example of developers not being encouraged to revitalize existing structures and not being properly regulated by our local governments. Local developers often demonstrate significant political power in their communities and have a desire to use this power to encourage damaging growth-based policies. Scholars have referred to the power of local developers as growth machines. To maintain their control on local land-use, growth machines may fight against transparency in public decision-making. For successful, communitywide development, local officials have to be willing to stand up to their growth machines and demand transparency in land-use decisions. 2. Local governments need to encourage representative and meaningful public participation. Officials should not rely only on traditional participation forums, such as the public hearing. Instead, officials need to create interactive participation process that get large parts of their communities involved in the development process—starting with vision-building and ending with implementation responsibilities. In past columns, I described how local governments encourage participation through the use of social media and other technologies to help achieve this goal. 3. Local governments need to practice “hyper-sharing” of development-related information. Critics of public participation often argue that the public does not have the information needed and is not engaged enough for local participation to work. In my research, I found that public managers also express this sentiment. In a forthcoming article in Public Administration Quarterly, I report survey findings that show how municipal budget directors are critical of public involvement because they view citizens as not being educated about local finance issues. The same can also be argued about development issues. Citizens need to be knowledgeable about development in their community. Local governments can do this through sharing as much information as possible. And research shows that citizens want more information. Today, this information is best shared on functional websites. Ballotpedia, an organization dedicated to transparency in government, has a checklist of information that needs to be shared on public websites. Local governments can use this as a guide for being hyper-sharers of information. 4. Local governments need to understand the ethics of having community visions. As discussed in past columns, vision building leads to community development success. Having visions, based on public input, is an important part of ethical decision-making in local community development. 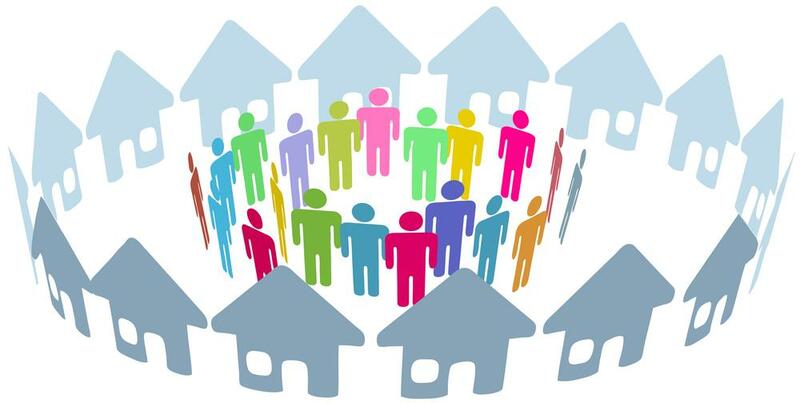 By having communitywide visions, the public is involved in drafting and implementing the plan for their communities. Involving citizens directly in the construction of their economic visions is local democracy at work. 5. Local governments need to partner with citizens, not just govern them. Participation, vision-building and overall community development rarely work when local governments view relations with citizens as top-down exercises—such as having a public hearing to meet statutory requirements. Local governments need to view the public as partners in government. For community development success, officials and citizens need transparent government to protect the interest of the entire community, ensure participation, share information and build visions.